We are often asked how corporate bonds performed during the Global Financial Crisis (GFC). This article looks at annual and monthly returns from 1992 to present, including the period covering the GFC, when the equity market suffered significant declines from it’s peak. This article discusses historical performance. Historical performance is not an indicator of future performance. However, analysts often use historical performance to discuss the riskiness or volatility of a particular asset class. 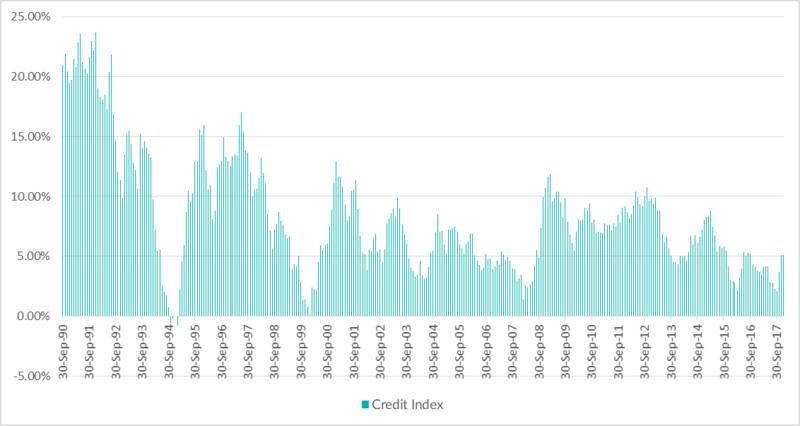 A common question we receive is how risky is the Credit Index and how did it perform over a specific period of time? To answer this, firstly we observe the Credit Index since inception. 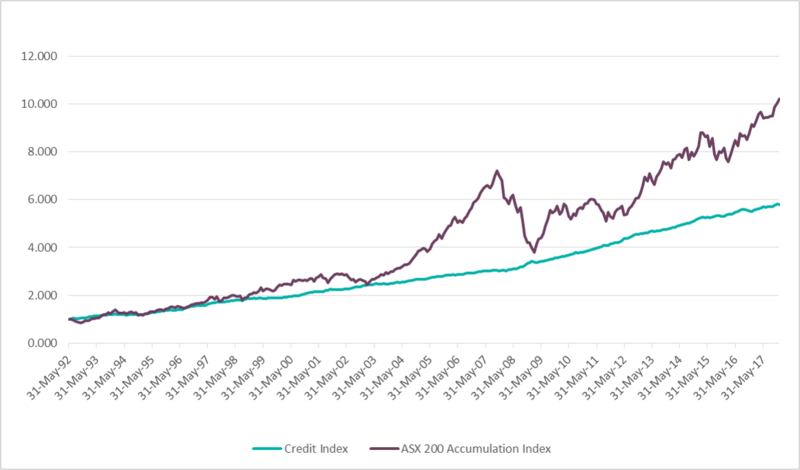 Chart 1 compares the performance of the Credit Index vs the ASX 200 Accumulation Index. Using 31 May 1992 as the base date (being the oldest available Bloomberg data), we see total returns of each Index. To understand volatility and risk, we review rolling annual returns. Chart 2 shows corporate bonds have had only 4 instances where the index produced negative 12 month returns. These were the 12 month periods between October 1993 and October 1994 and January 1994 and January 1995. If we impose the ASX 200 on the same chart, the difference in asset classes becomes obvious. 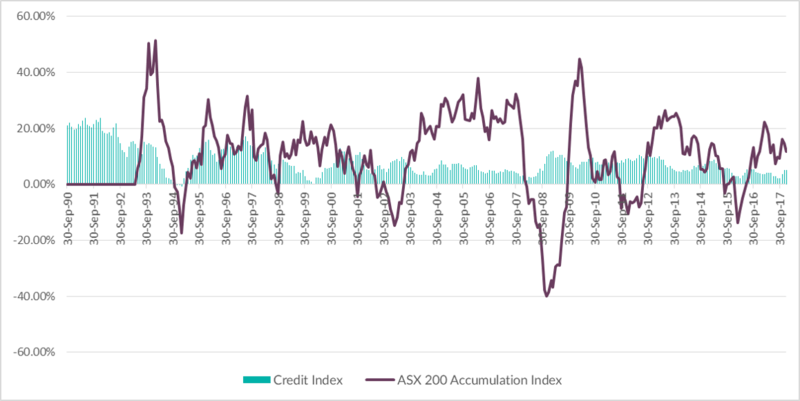 During the same period the ASX 200 Accumulation Index observed 79 months with a negative rolling 12 month return. This analysis gives comfort to the investor with a long term view, but insight can also be gained from studying more granular or monthly returns. Over 339 months of performance the Corporate Bond Index has seen 63 negative months. But note that as observed in 12-month returns, the index has only produced a 12-month rolling negative return for 4 months. How did Credit perform during the Global Financial Crisis? We will define the Global Financial Crisis (GFC) as a period from October 2007 until 31 December 2009. This will capture the peak of the ASX Index in October 2007 and the low in February 2009 and 10 months of recovery after that. During the 18 month period the Corporate Bond Index observed 7 months of negative returns. When compared to the ASX 200 Accumulation Index it performed its role as a defensive asset class.